If you worshiped with us this past Sunday morning, you heard an announcement about a change to our Order of Service. This change will take effect this Sunday, April 2. At PVCC, we believe our Sunday morning service exists for two primary purposes: to glorify God, and build up believers. We don’t think one Order of Service glorifies God more than the other; but we do think the change we make this week will better build up and serve our congregation. For the sake of those who were not present for the announcement, and for those who may not have been worshiping at PVCC before we adjusted our Order of Service, I’d like to explain why we made this change, and give you an idea of what to expect on Sunday. When Christmas Eve and Christmas Day rolled around, we decided to do something different; that led to our more recent Order of Service. The biggest difference was moving Communion/Offering after the Sermon. You might think this change sounds minor, but you’d be surprised how much impact a change like this can have! Once Christmas was over, we decided to stick with the new order for a little while, just to see how things went. We made minor adjustments here and there, and asked our congregation for feedback – both positive and negative. As you might expect, both orders have positives and negatives. For example, with the old order, many liked that our time of Communion prepared hearts and minds to hear the Sermon. However, the old order also had a very abrupt ending. With the new order, the volunteers who count our weekly offering didn’t have to miss out on much of the sermon. However, the new order also broke up our songs more than we might like. Hopefully, keeping the Closing Prayer (an element we added with the new Order of Service) will address one of the weaknesses of the old: a very abrupt ending. In addition, we still keep all the core practices we believe God calls us to participate in on Sunday morning: singing, prayer, Communion, Offering, and a Sermon. All this being said, what ultimately matters more than the Order of Service is the heart of the worshiper. 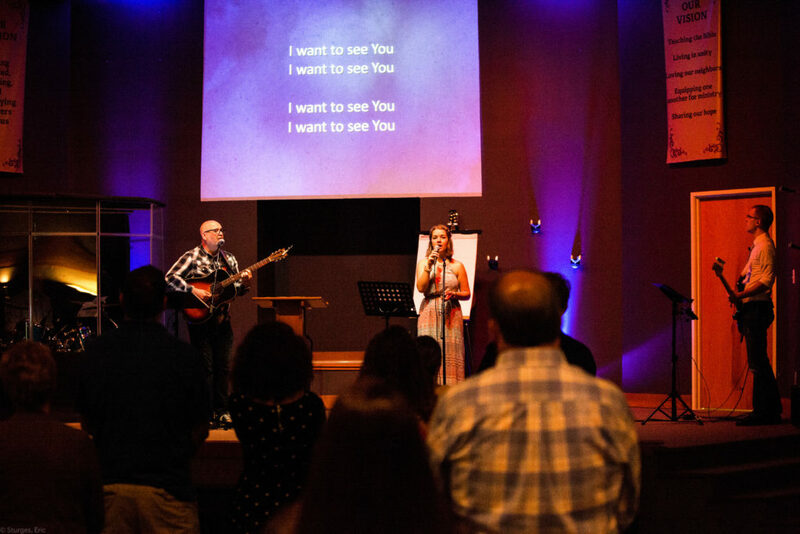 So whether you love the change, hate the change, or simply don’t care all that much – we pray that you’ll join us this Sunday morning with glorifying God as your heart’s greatest desire. Thank you for your understanding, patience, flexibility, and willingness to worship with us at PVCC! Sermon Planning, 2018: Make Your Voice Heard!